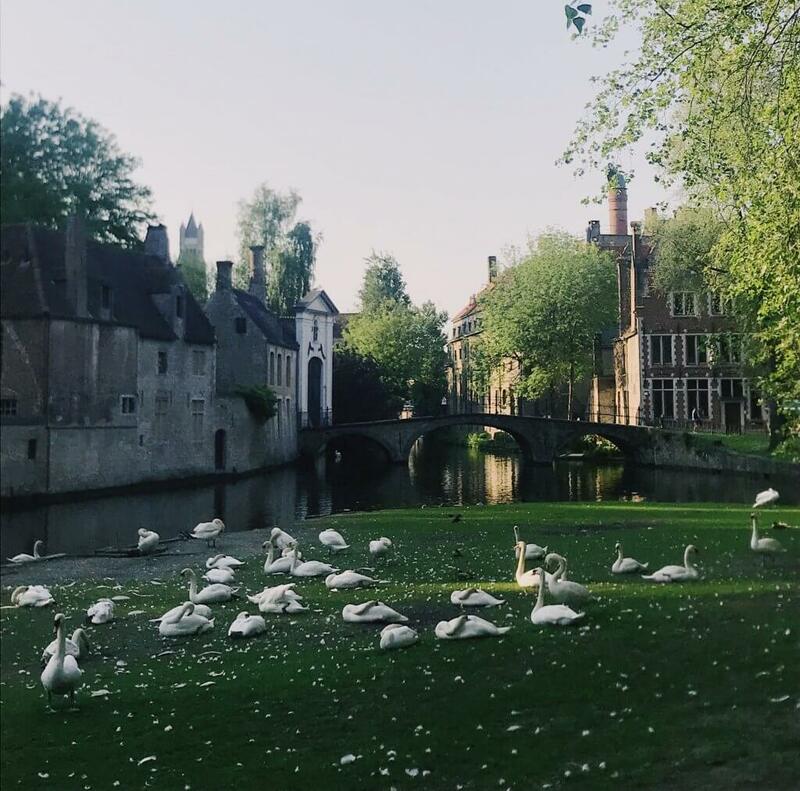 I visited Bruges last month after hopping on a P&O Ferries Hull to Zeebrugge ferry. 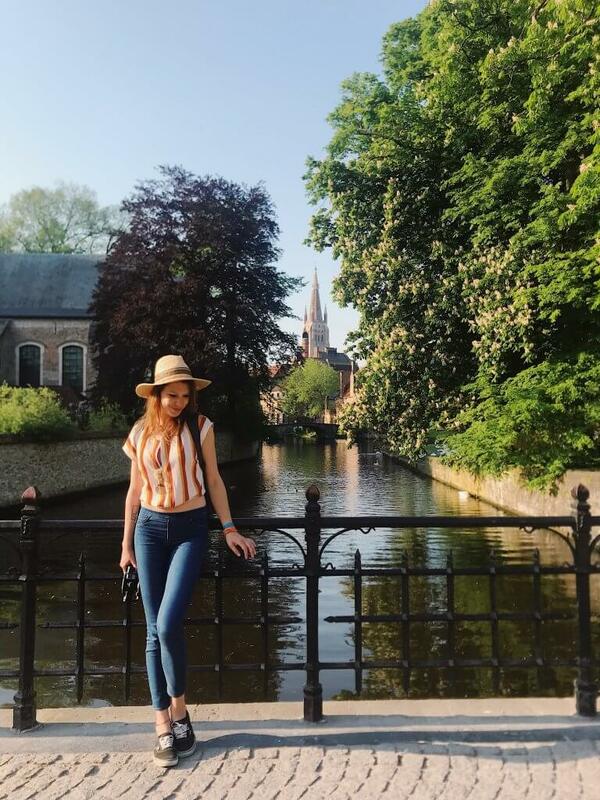 You can spend a day in Bruges on typical mini cruise break or could have the option of extending your stay and enjoying a 48 hour in Bruges like we did. 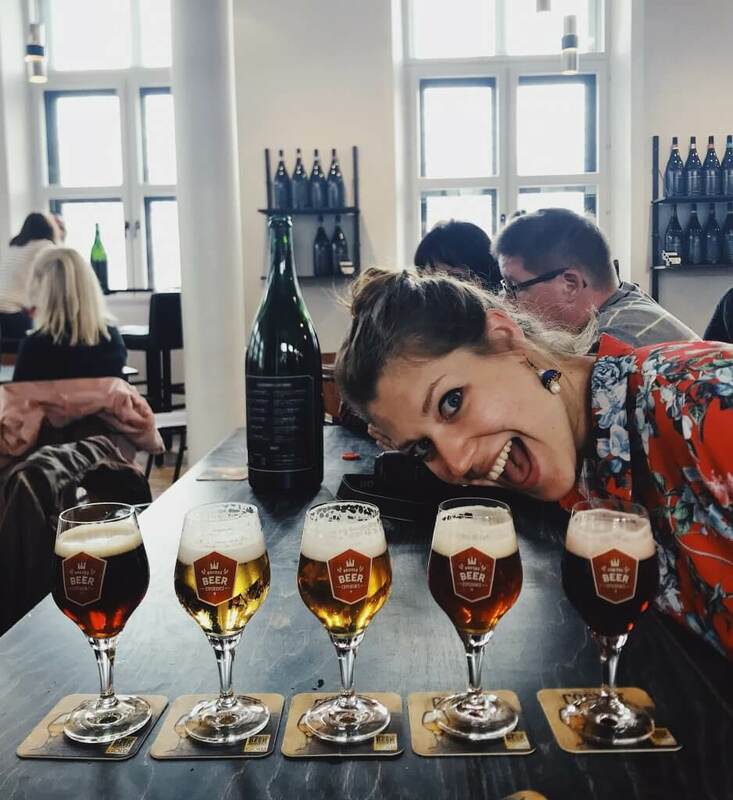 To help give an idea of what you can see and do in Bruges, I’ve compiled a guide on enjoying the best of Bruges on a budget. I hope you find it useful. Bruges is the capital and also the largest city of West Flanders, situated towards the northwest of Belgium. Like Amsterdam, it is a canal based city and is often referred to as the ‘Venice of the North’ along with other similar Belgian cities. 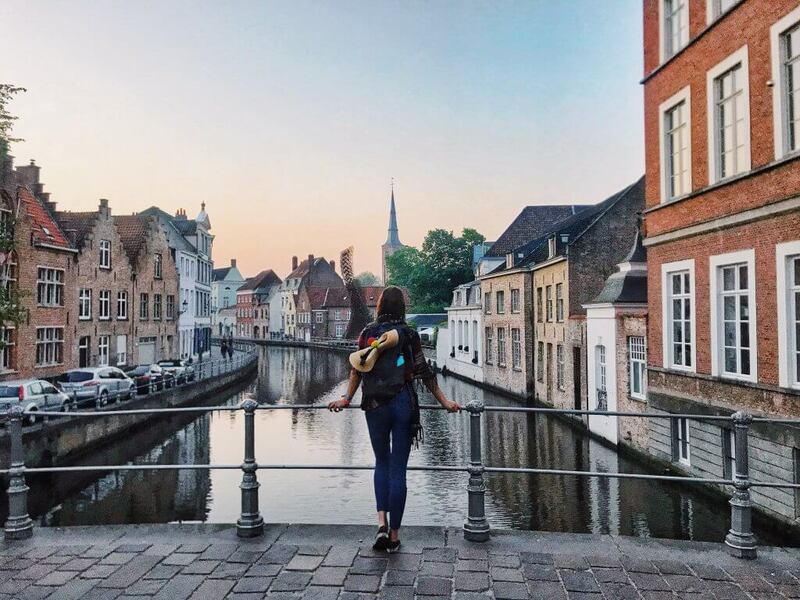 The name of the city, Bruges has been in the history books since the ninth century. The name in all probability derives from the old Dutch name for bridge. Bruges became an important port of trade during the Golden Age (12th-15th centuries) bringing unprecedented wealth to the area. The Golden Era subsequently dwindled around 1500 with the silting of the Golden Inlet or Zwin channel. Presently, Bruges is a meticulously preserved historic city. 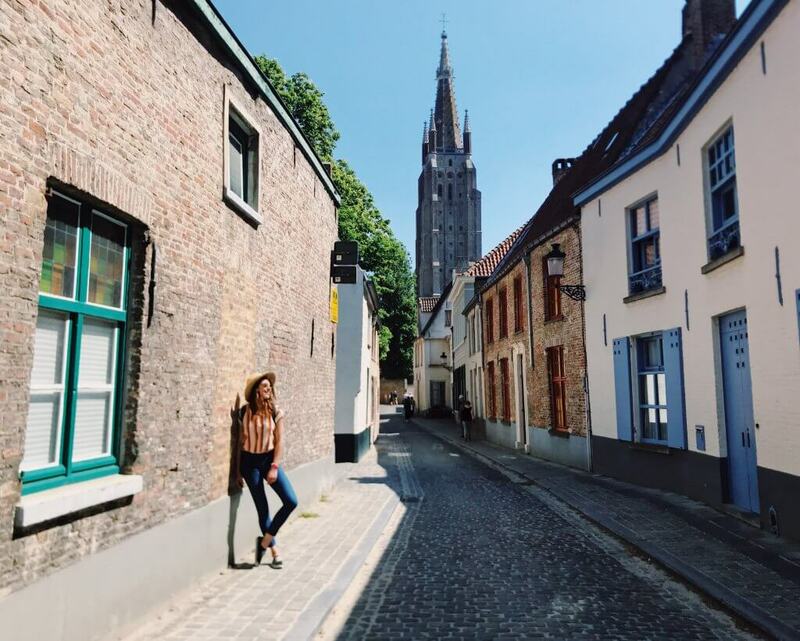 Amble down the cobblestone corridors and get lost in Bruges’ medieval history. The Basilica of the Holy Blood is located in Burg Square and consists of a lower and upper chapel. The 12th century Basilica is dissected into architecturally distinct upper and lower chapels.The lower chapel is dedicated to St. Basil and is a Romanesque structure. The upper chapel is built in the Gothic style and contains a phial apparently of the blood of Christ that was collected by Joseph of Arimathea and brought to the city by the crusaders, namely Thierry of Alsace, Count of Flanders. In the film, ‘In Bruges’ Brendan Gleason in the character of Ken visits the relic of the Holy Blood. 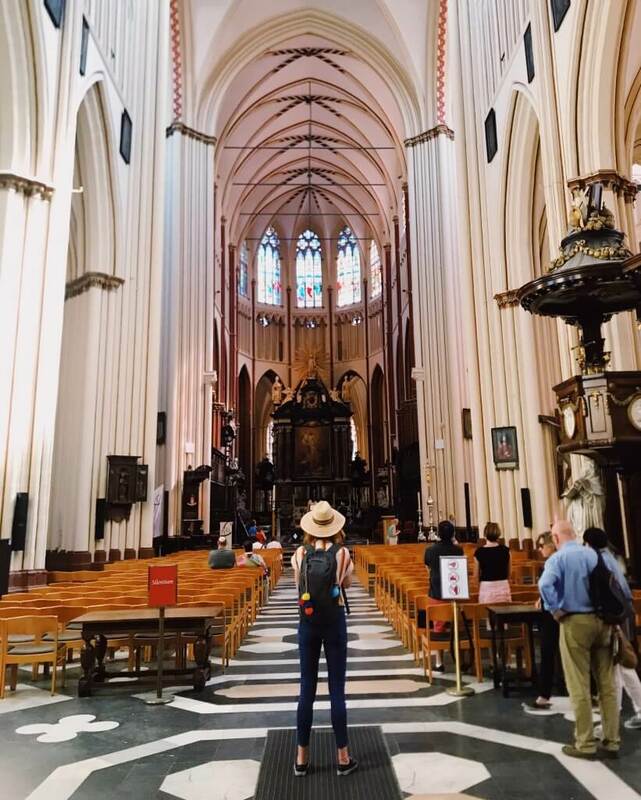 The Church of Our Lady in Bruges is a very old Gothic Church of Roman Catholic denomination. It was built around the thirteenth century with later additions being made to the building during the fourteenth and fifteenth century. The tower of the church is the tallest in the city, standing at 377 feet. The church is the repository of many notable works of art including a statue of Madonna by Michelangelo, the Crucifixion reportedly by Anthony van Dyck and the Supper at Emmaus, ascribed to Caravaggio. The Church is undergoing restoration so entry to the Church is free while the museum with Michelangelo’s world-famous Madonna and Child has a €2 entry fee. 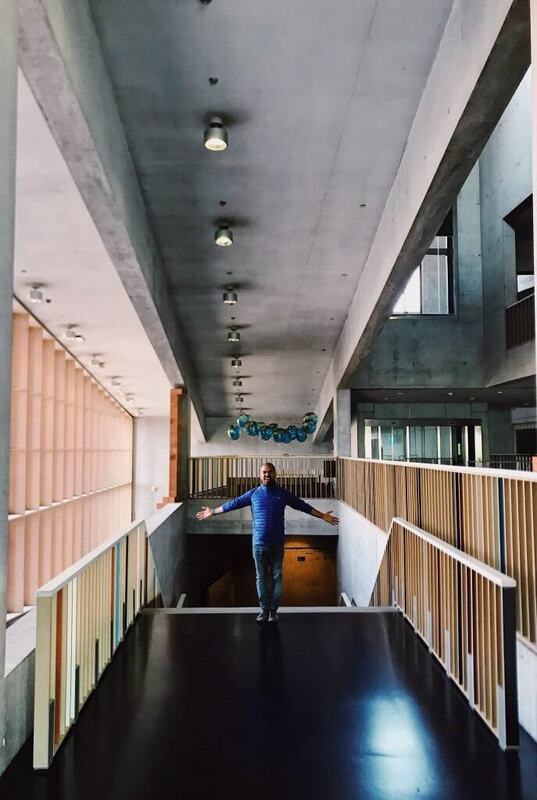 Cost: Guided tour of the building including access to the rooftop is €8. The Concertgebouw or Concert building in Bruges is a modern structure that offers a great panoramic view of the city. The concert hall can seat upwards of 1200 people across three levels and also features several exhibition halls in the Lantern Tower that provides city views. 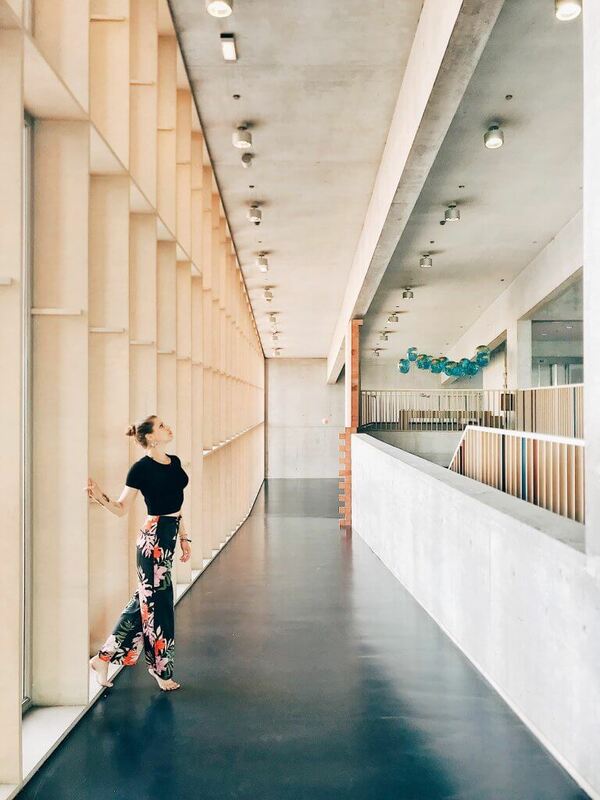 Architecturally the building rests on thousands of poles. The concert hall is designed to provide fantastic acoustics. The building facade is dressed in distinct red terracotta tiles and the Lantern Tower is made of glass. This is certainly a quite modern structure that stands out from the other buildings comprising the historic Old Town of Bruges. Entry fee is pricey but I enjoyed the luxury of not queuing and having the rooftop views to myself compared to the Belfort. Groeninge Museum houses six centuries of Flemish and Belgian painting on the site of the medieval Eekhout Abbey. 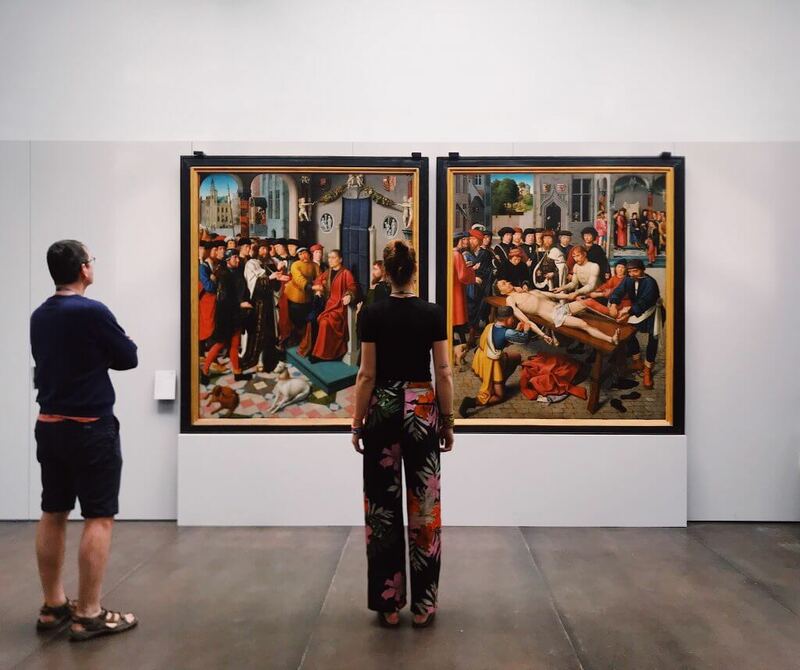 Particularly, it features Hieronymus Bosch‘s famous triptych The Last Judgement which also appears in the movie ‘In Bruges’ ,where the two hitmen have a discussion about heaven and hell after seeing the painting. Other notable artists who have works displayed in the museum include Jan van Eyck and Marcel Broodthaers. Despite it being pretty pricey, definitely worth making a pit stop here. 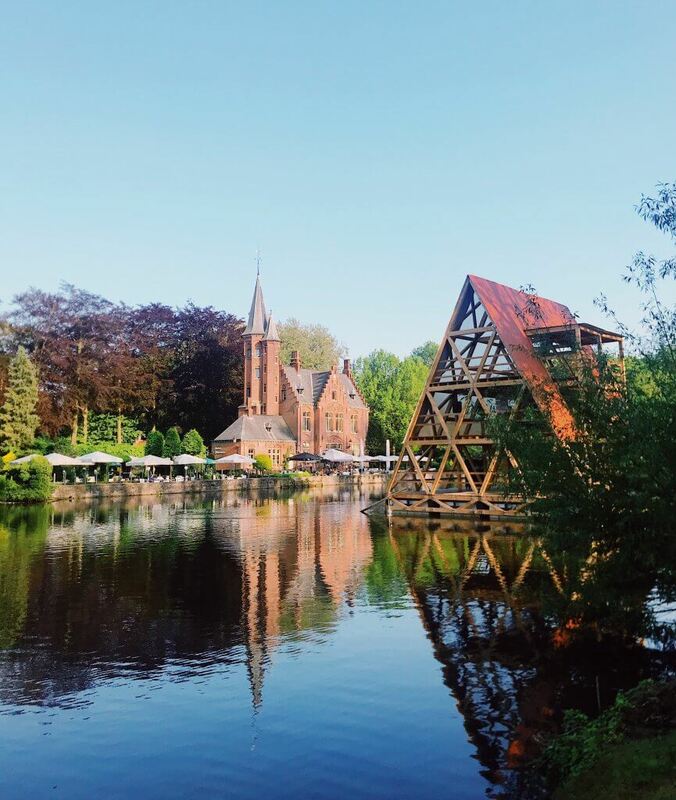 Minnewater Lake or the Lake of Love is situated in a leafy, green park to the south of Bruges. A local legend has evolved around the lake down the years. According to folklore the lake is the seat of the tragic love affair between Minna and her warrior lover Stromberg. The legend claims you will experience eternal love if you cross Minnewater Bridge with your sweetheart. This is a historical location like no other you have visited before. Sint Janshuismolen is one of two existing windmills that remain in the city. 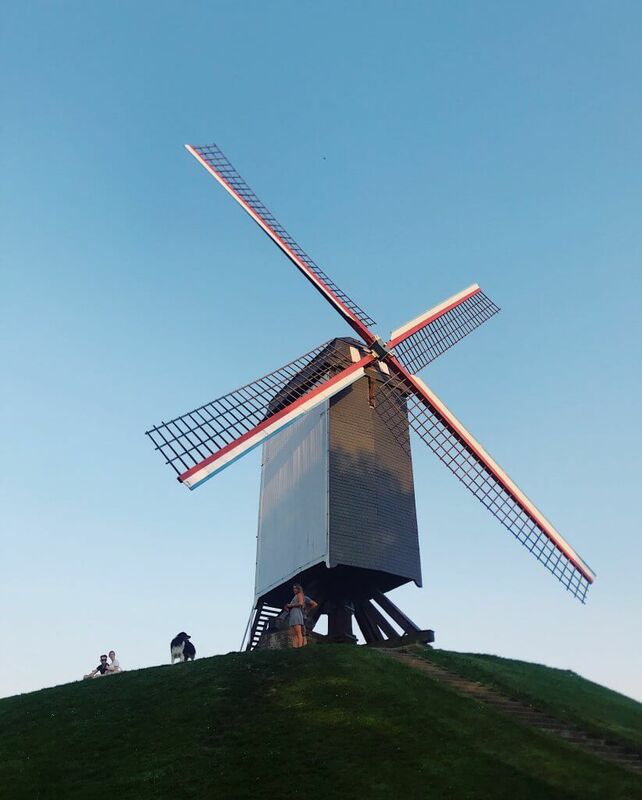 The windmill has been reportedly grinding grain since 1770 and to this day it is open to visitors during the peak of summer. 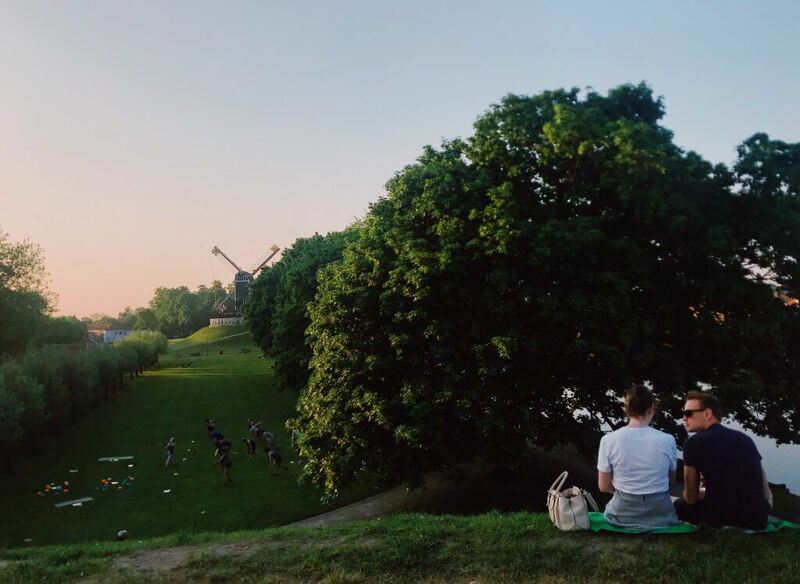 A quaint wooden structure perched on top of a green rolling hill – it makes for wonderful photo opportunities. 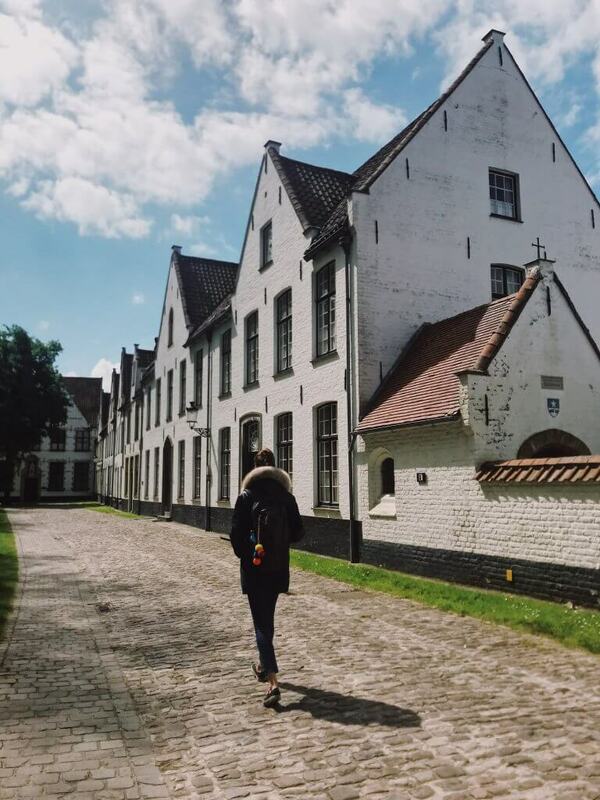 A beguinage is a complex created to house beguines: religious women who lived together in a separate community without taking vows. 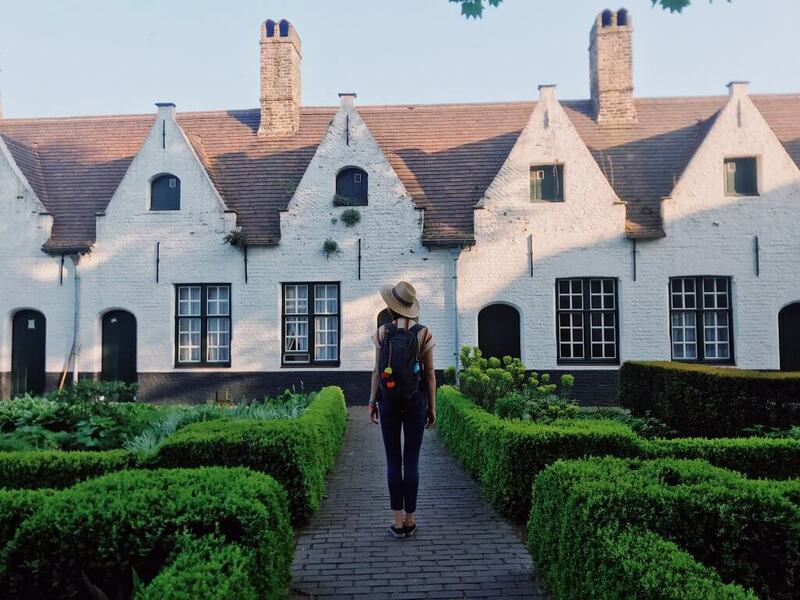 The Begijnhof Brugge is a carefully preserved beguinage in Bruges, the only one of its kind in the city. Beguines no longer take shelter in the building, since 1927 it serves as Benedictine convent. This is a quiet peaceful place. A grassy central tree studded yard is flanked by about thirty white painted houses dating back from the 16th century and later. The original Beguine house near the entrance way has been preserved as a museum and is the repository of paintings, 17th and 18th century furniture and lacework. 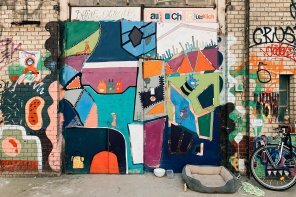 This is a contemporary art and architecture route in Brugesand will run from 5/5/2018 till 16/9/2018. In 2018, the Triennial returns to Bruges for the second time. 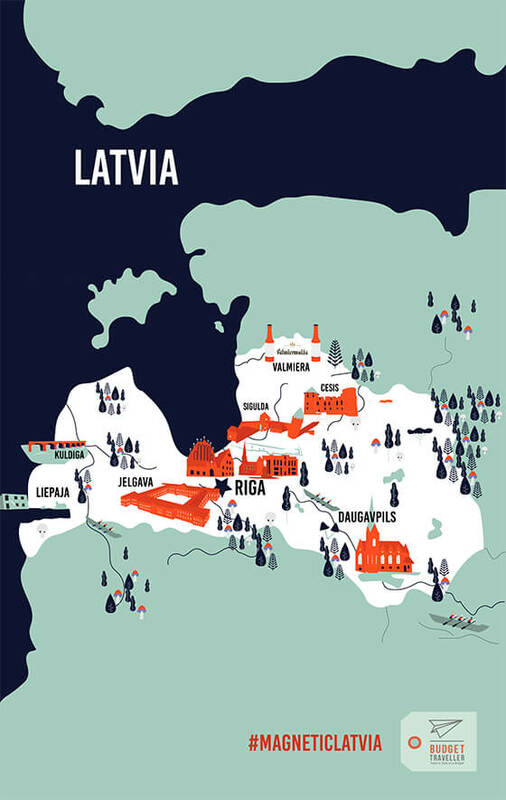 Held once every three years, this artistic route, with surprising installations by celebrated artists and architects, is spread right across the city centre. 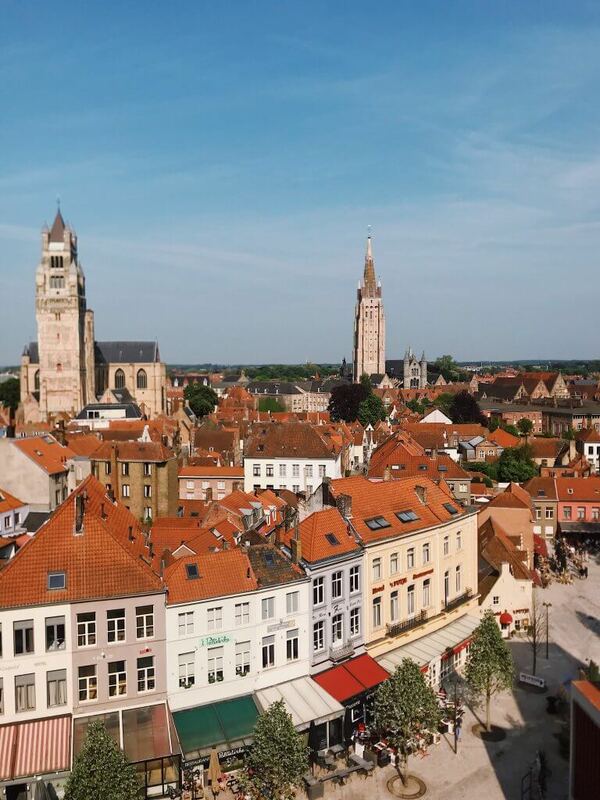 The Triennial explores the future of a city like Bruges, and hopes to serve as safe point of reference. Carrefour supermarket was my best friend when visiting Bruges. 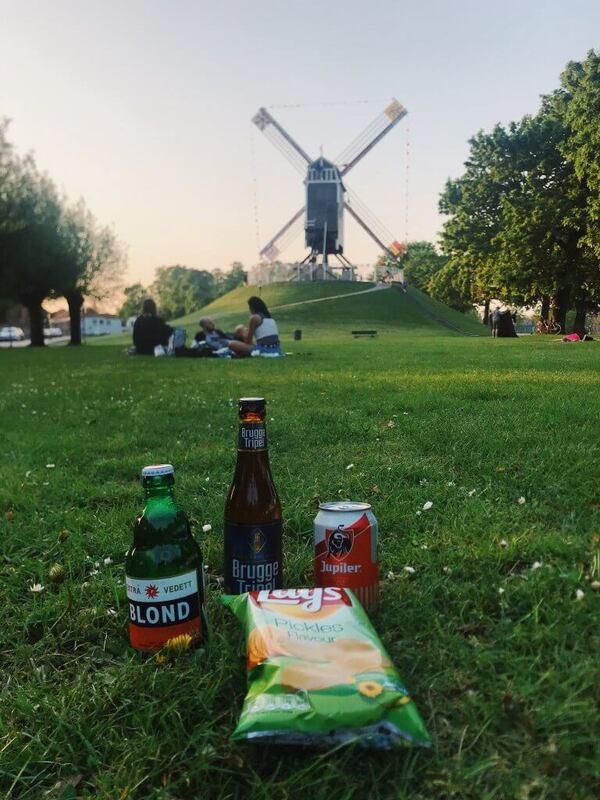 Given how steep the price of beers were in bars, I bought a few beers and had a fantastic picnic in front of the beautiful Sint Janshuismolen windmill. Another day, we did a simple lunch of baguette, cheese, olives and some chips in the main square. Sometimes these simple meals are the ones you remember. 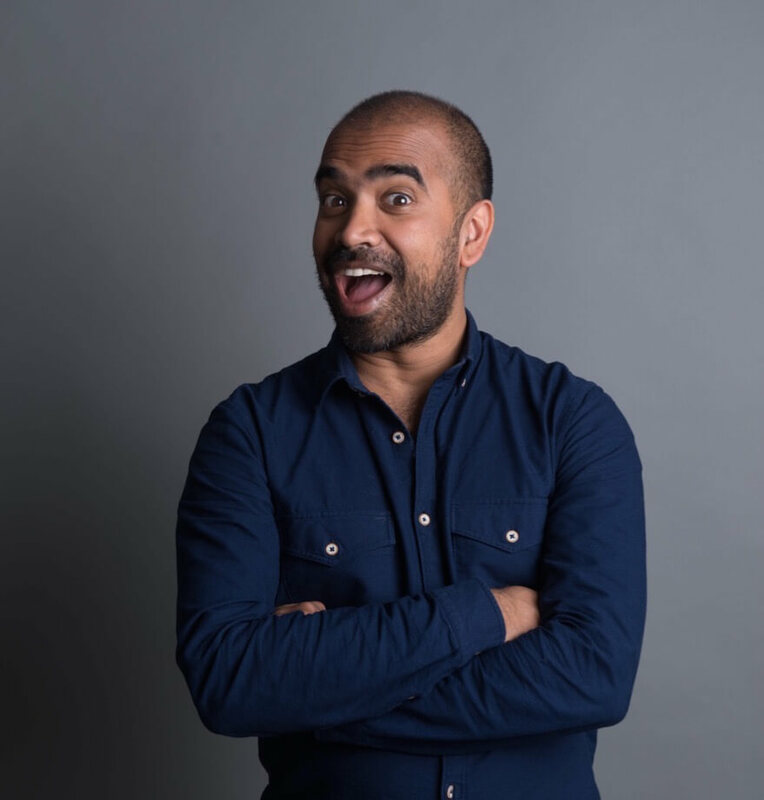 Address: Breidelstraat 3, 8000 Brugge, Belgium. 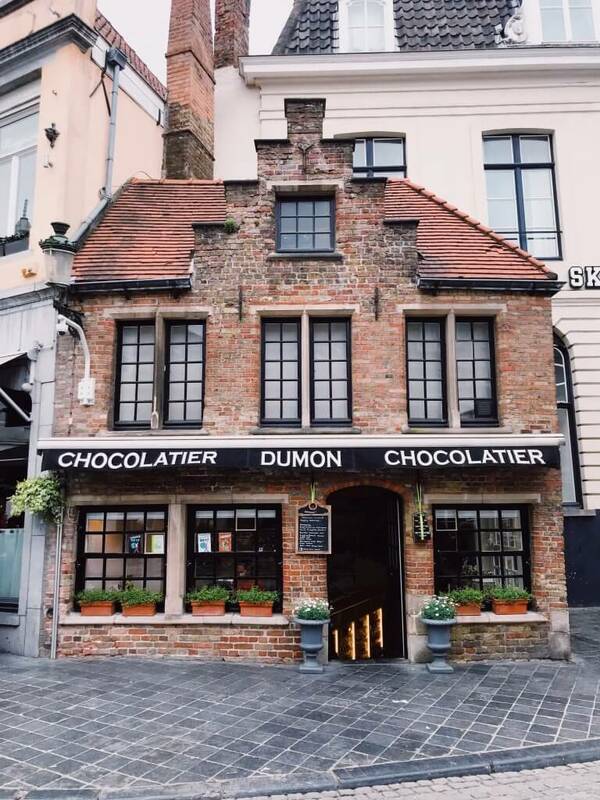 This is just the place to get your chocolate fix, when in Bruges. This award winning chocolatier is the best place for tasting and buying chocolates. Enjoy either the melt in the mouth truffles with a hard chocolate shell and buttercream interior or pralines – a hard chocolate shell with a variety of centres. 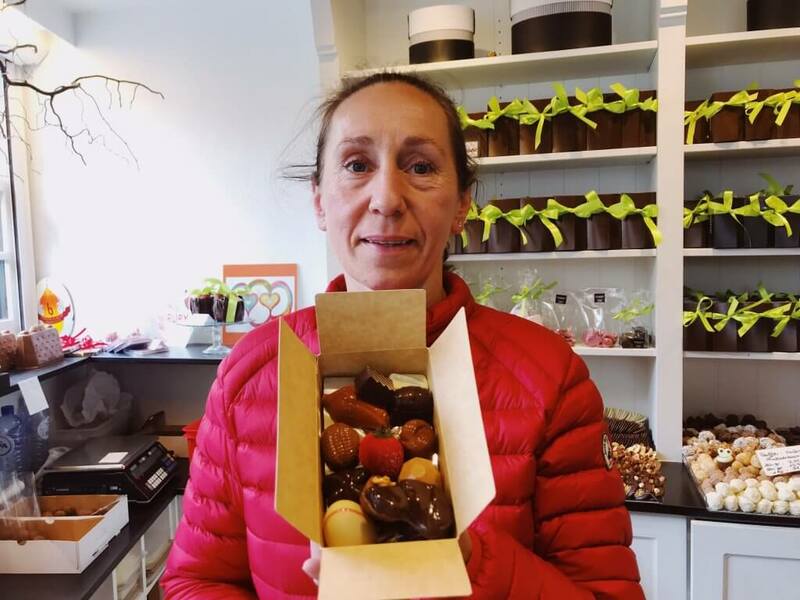 Whatever you choose, the fine chocolates made by Madame Dumon and her children daily, are a treat. Address: Eiermarkt 6, 8000 Brugge, Belgium. The oldest cafe and one of the oldest pubs in the world- this inn serves great food, beer and also has a nice terrace and outdoor pétanque area. 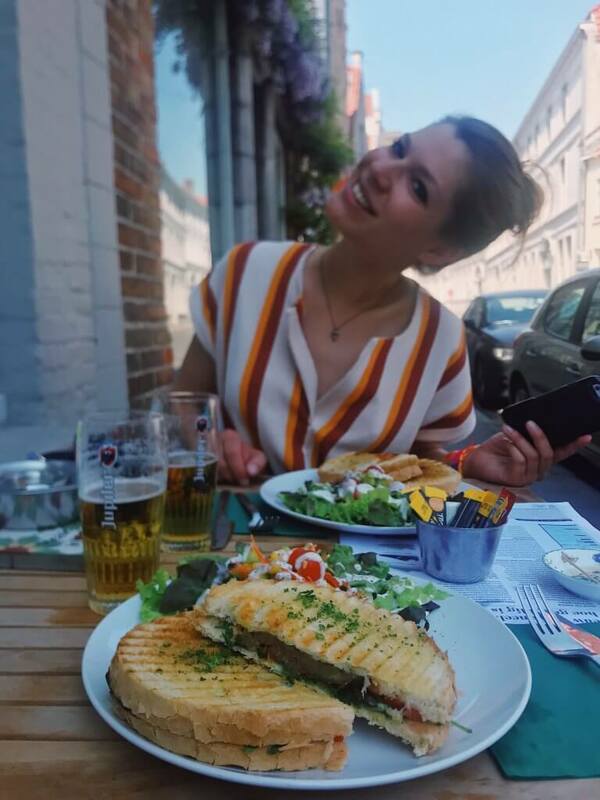 In the winter and autumn, there is a warming stove, where you can enjoy a bite to eat with a draft of beer. This 500 year old establishment in the Saint-Anne quarter is an oasis of calm and tranquility. Address: Blekersstraat 2, 8000 Brugge, Belgium. Hipster cafe joint serving hearty bagels and great filter coffee and speciality teas- this is just the place to get your caffeine fix. There are even vegetarian options on offer too. Address: Dweersstraat 30, 8000 Brugge, Belgium. Mega toast sandwiches from Books and Brunch! Vegan and veggie friendly restaurant with a great selection of used books to read. This is a cozy, casual eatery, perfect for the bibliophile who likes to brunch. The prices are higher than average but the ingredients are fresh and their mega toast is enough to feed two-keep that in mind. Address: Garenmarkt 30, 8000 Brugge, Belgium. 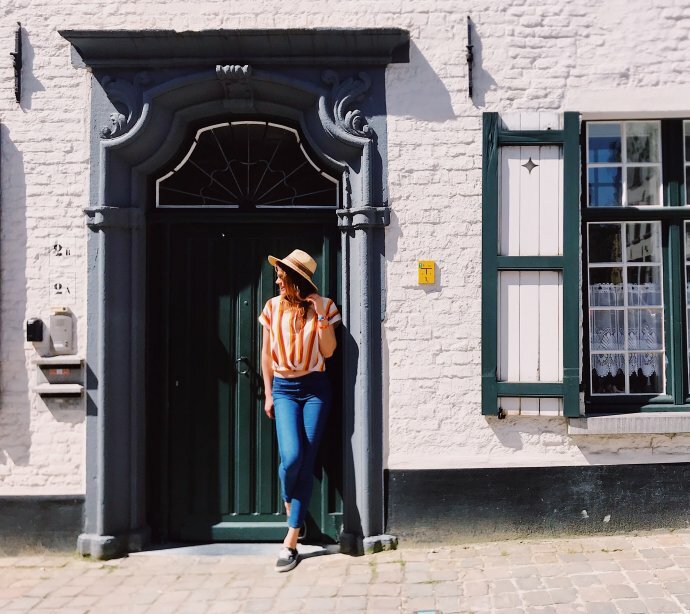 If you are looking for something central and cosy then the Hotel Albert 1, housed in a typical historic Bruges town house , is perfect if albeit a little expensive. Due to the great effort devoted to redirecting traffic away from the historic centre, this area is a relatively pedestrian friendly zone, reasonably quiet. The interiors are comfortably furnished in an English-cottage style with all sorts of modern conveniences. 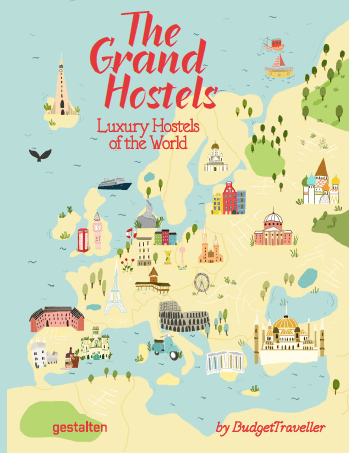 The rooms here are very cosy, great beds and a filling breakfast buffet. Address: Koenig Albert 1-laan 2-4, 8000 Brugge, Belgium. 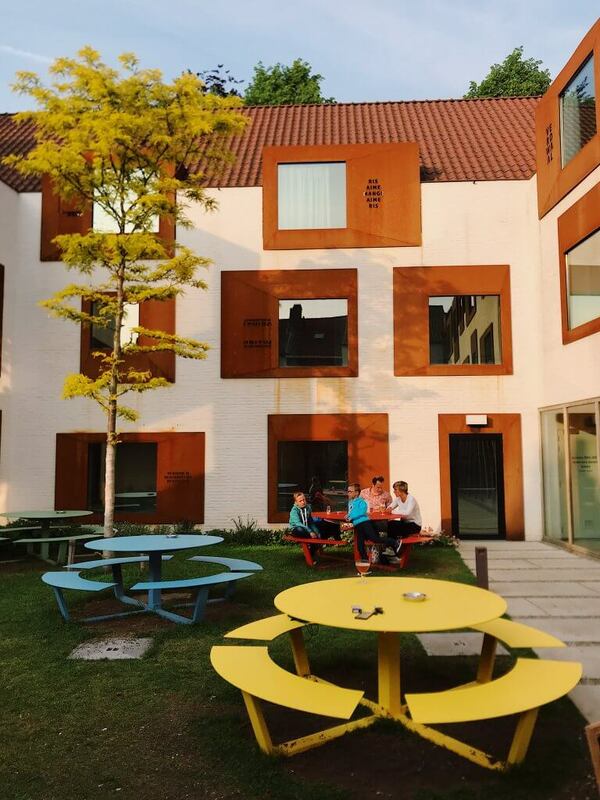 This hip design hostel is located centrally in the old part of Bruges. It is only 500 meters from Market Square and the Basilica of the Holy Blood. 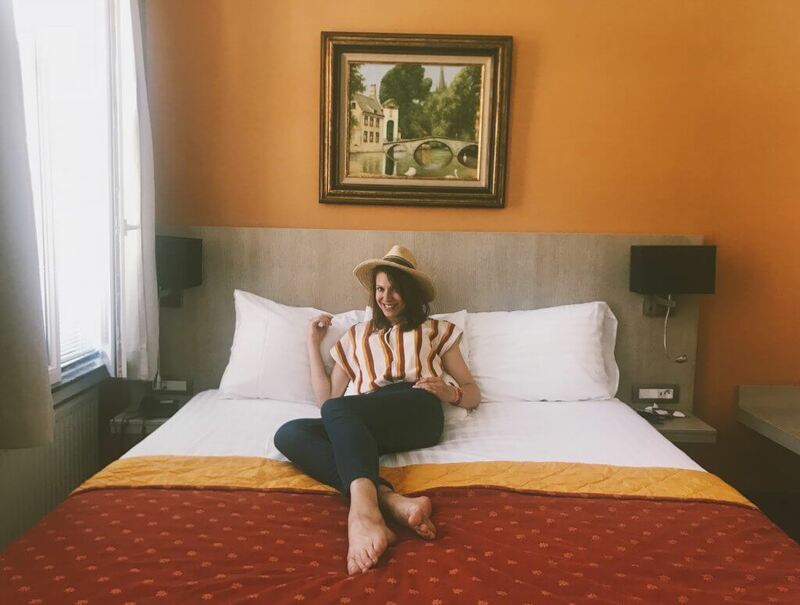 With a nice onsite bar and regular program of live music, a fully equipped kitchen and no curfew, this is the place to stay in order to discover the city. 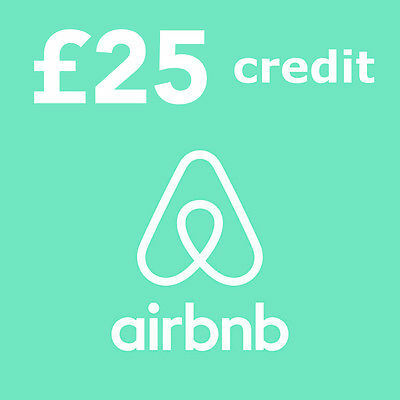 With a free breakfast included in the price of a night’s stay, Snuffel Hostel is perfect for the budget-conscious traveller. Address: Ezelstraat 42, 8000 Brugge, Belgium. Not budget or even mid range by any means but the Relais Bourgondisch Cruyce deserves a mention in any guide about Bruges given its starring role in the movie ‘In Bruges’. 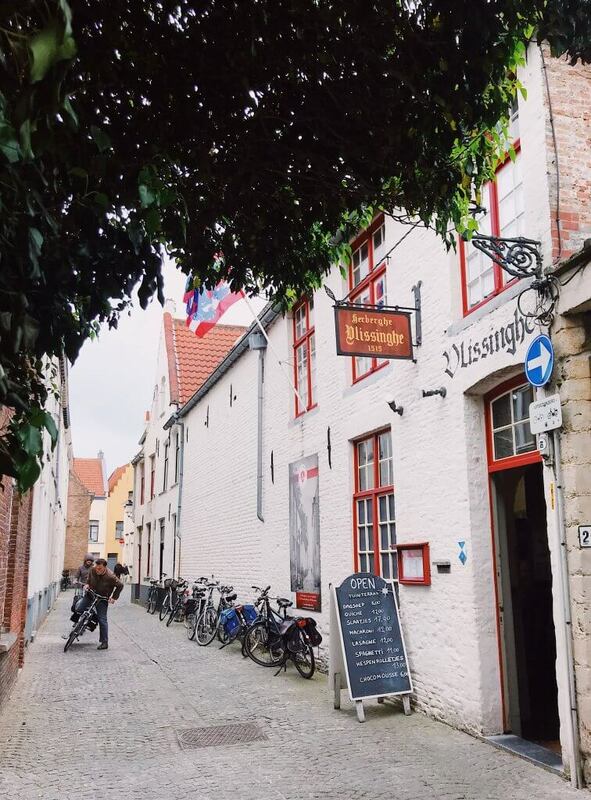 It is situated in the heart of Bruges, with the Groeningemuseum just a 2 minute walk away. 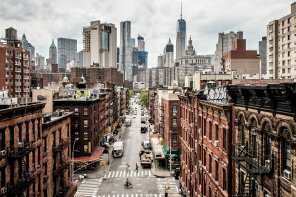 Many other key historic landmarks of the city are within easy walking distance of the property, including the Market Square, The Basilica of the Holy Blood and the Church of Our Lady. 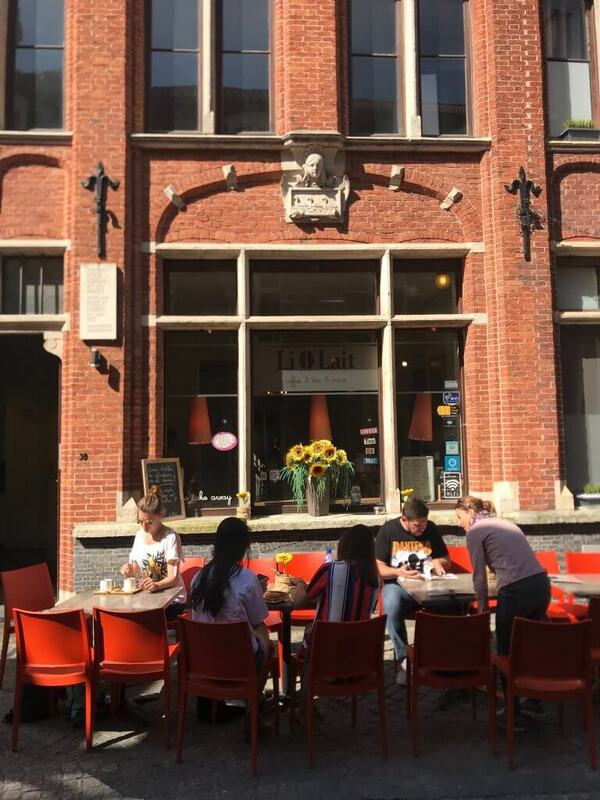 Address: Wollestraat 41, 8000 Brugge, Belgium. I was invited by P&O Ferries to experience their mini cruises from Hull to Zeebrugge. 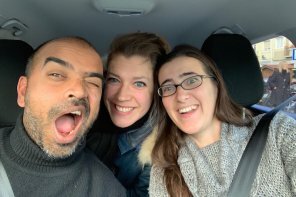 I’d like thank them and also extend my gratitude to Anne de Meerleer and everyone at Visit Bruges for their invaluable tips and support during our stay. While my trip was courtesy of P&O Ferries but the opinions expressed here, are entirely my own. Excellent photos you have here Kash! I’m really excited to shoot with my Sony A6000, what camera do you use? I was at London a couple of months ago, but I didn’t have a good camera then. Looking forward to taking better shots this time.